Bring on spring in your library! 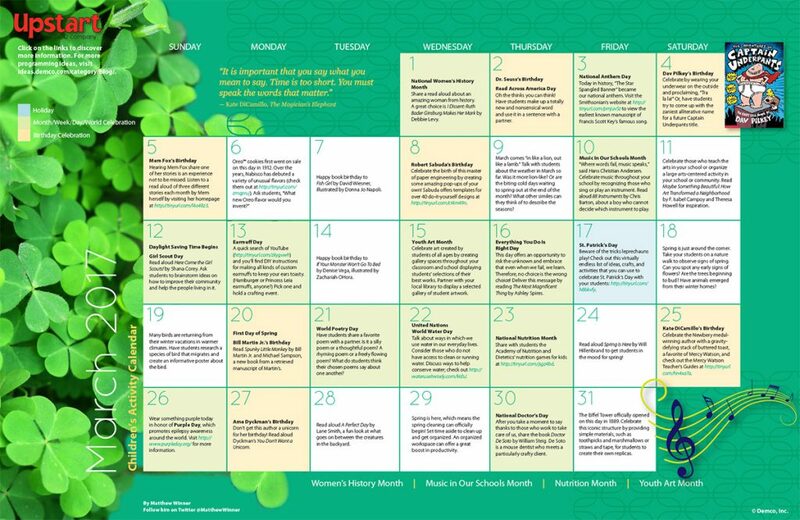 Not only is March the month to welcome warmer weather, it’s also time to celebrate women’s history and the arts with books, crafts and activities that promote Women’s History Month and Youth Art Month. And don’t forget to keep an eye out for leprechauns on St. Patrick’s Day! 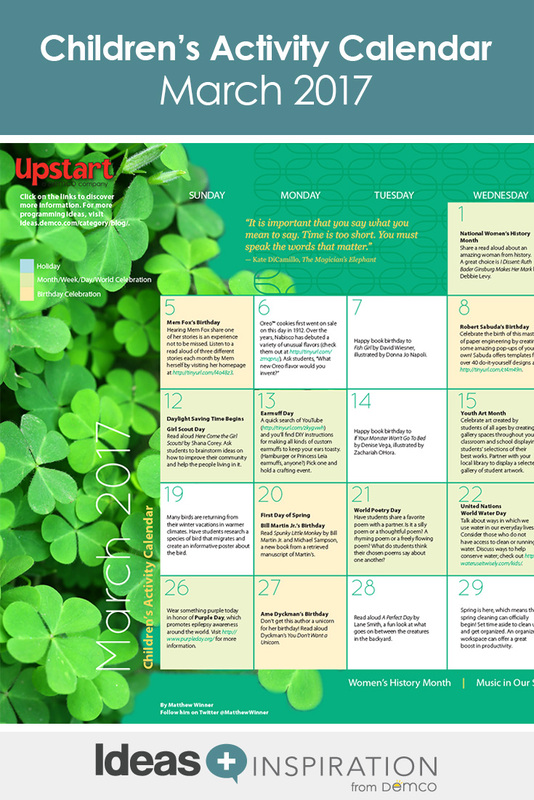 So find a four-leaf clover and a good book, and get ready for a magnificent March! Is there a Children’s Activity calendar for February 2017? Thank you for your interest! There certainly is a Children’s Activity Calendar for February 2017. Just click on the link to access it. Enjoy! Glad you’re enjoying them, Patty! You can also click on the links in the digital version for more information about each special day.